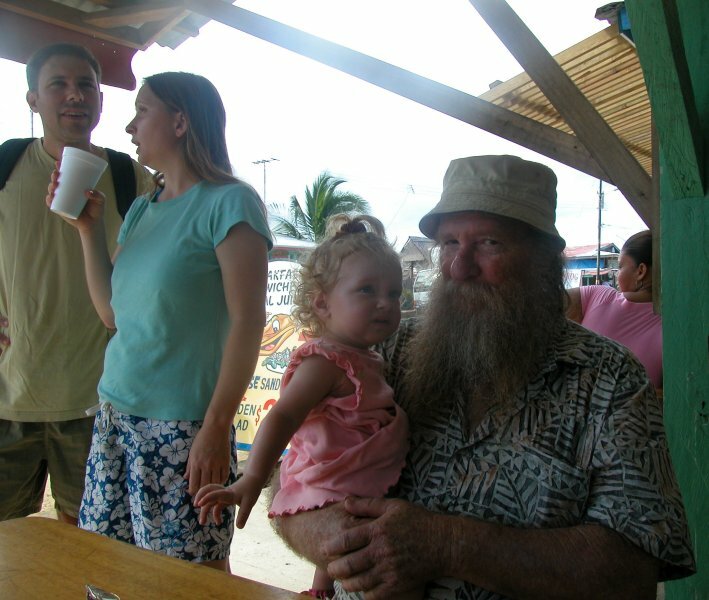 We started out our Panama vacation by flying into San Jose, Costa Rica, then taking a shuttle bus to the Panama border. 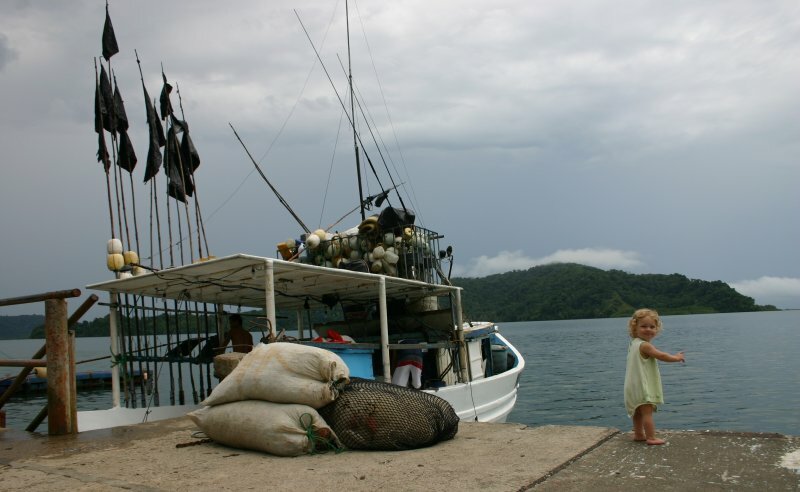 We started off in Panama taking a boat to Bocas del Toro, which is a neat island on the Carribean side. 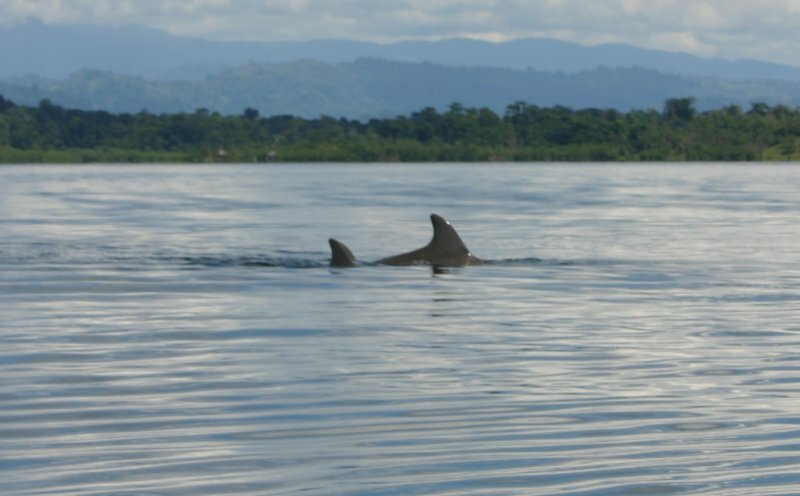 We took a boat tour around Bocas del Toro and spotted these dolphins in (no surprise) Dolphin Bay. 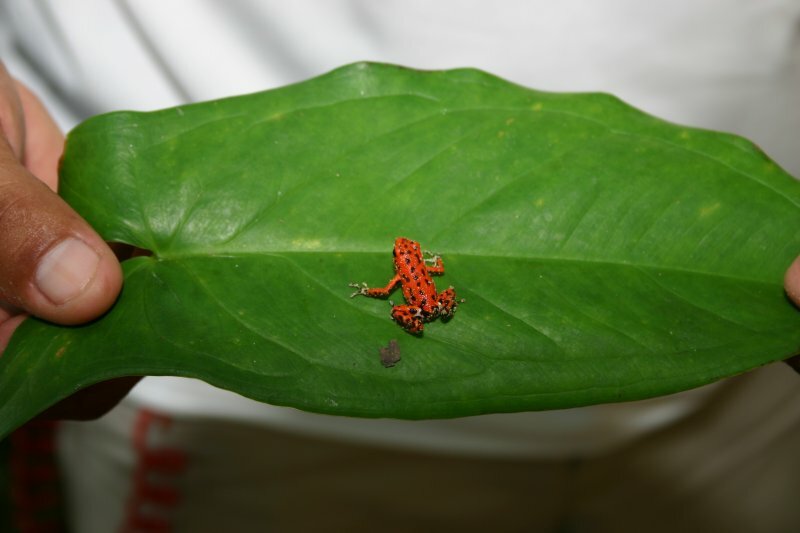 We continued on the boat to Red Frog Beach, which (no surprise), has red frogs. Red Frog Beach was a really cool beach, and they're building condos on it in case you're interested. The sand was really hot, though. And Amelie fell over and got her face covered in sand and they didn't have any fruit or even fresh water, but the ocean water was really nice. 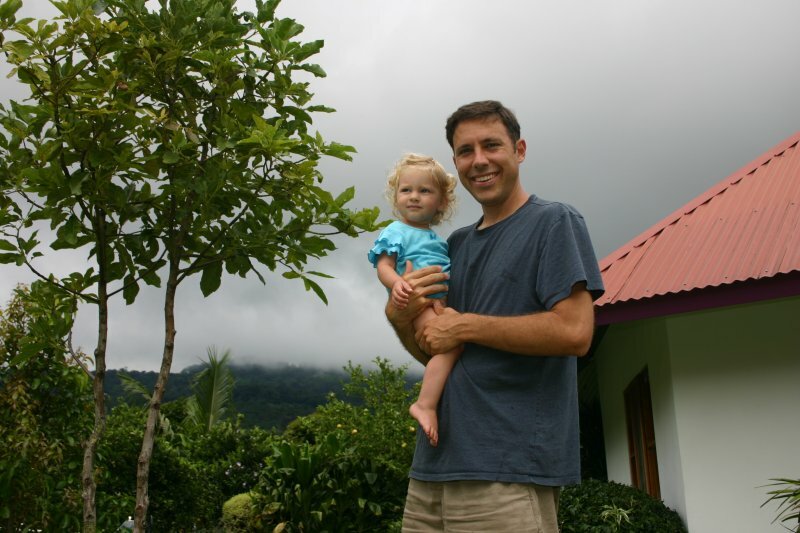 From Bocas del Toro, we took a flight from there to David and rented a car to take to Boquette in the moutains. Boquette was a great little town and we found this great place called Isla Verde that had funky cabinas. The mountains ringed Boquette and there were always clouds on them. We had great weather, though, pretty much throughout the trip. 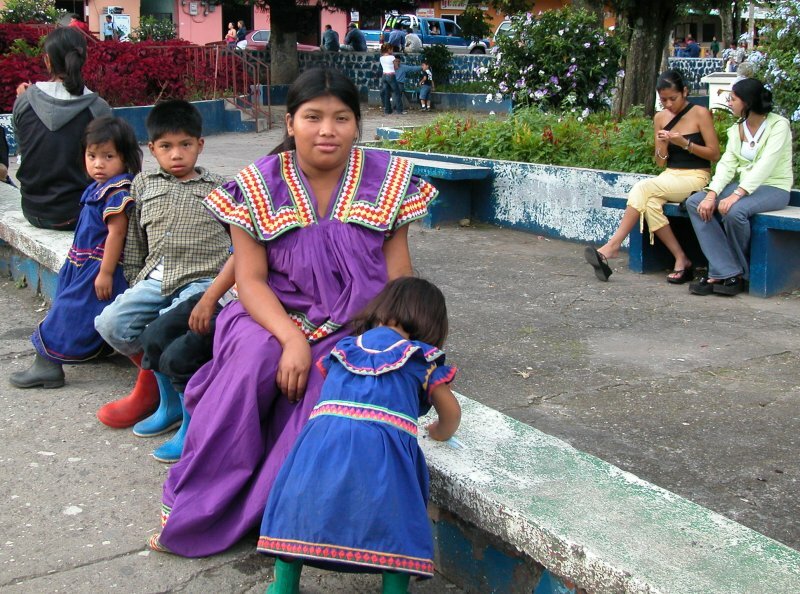 At the park in Boquette there were some native Panamanians and they wore these colorful dresses. The guys just dressed normal, though. What's up with that! We were looking into buying a house or a plot of land in Boquette, and one of the things the realtor pointed out to us was a lack of restrictions of what you could build on your land. 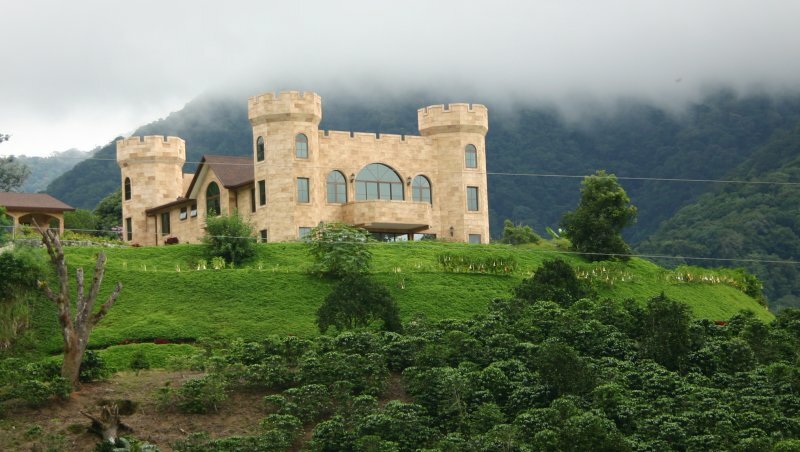 He said they have two castles in town, and this is one of them. I think they did a great job, though. We rented horses and took a tour through the mountains with them, and it was a great experience. It turns out horses aren't like cars, they can be challenging to steer, make go, and to stop. 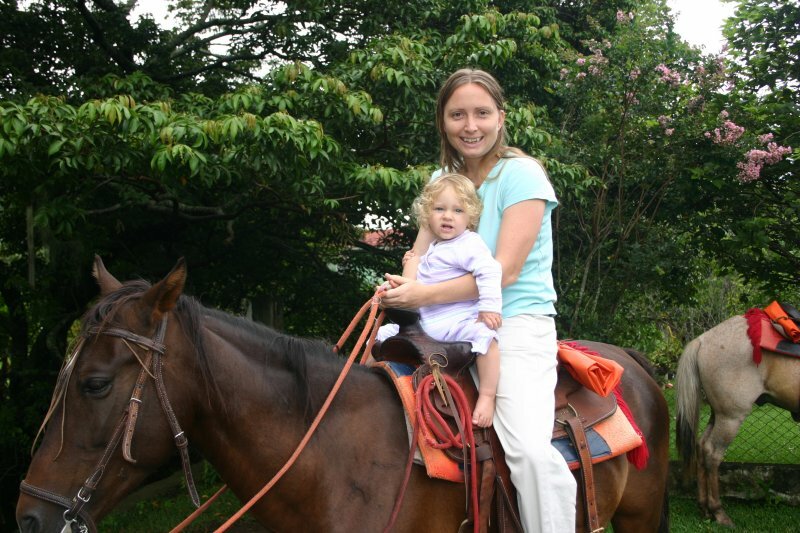 I was really happy Amelie didn't have any fear of the horses and was very excited about getting some time in the saddle. 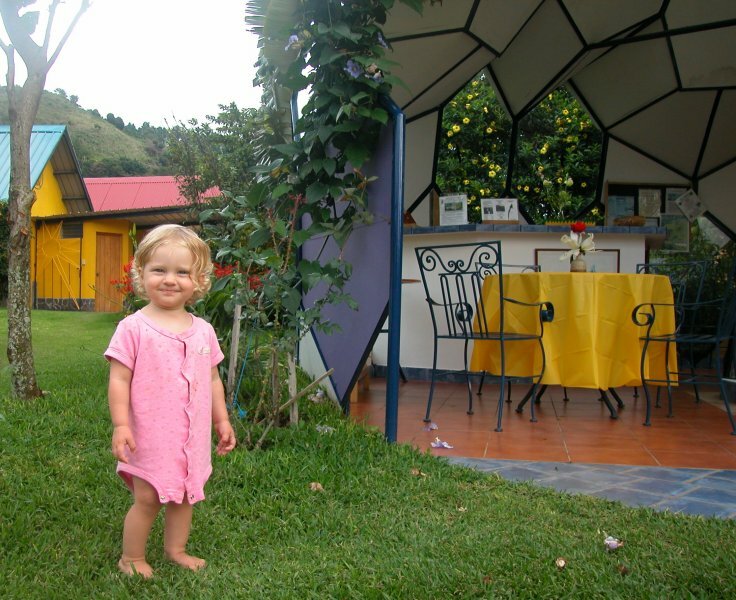 From Boquette we drove to Volcan and spent a night in a cabin in the rain forest there. It was awesome. There was a tame hummingbird that would come and fly around your head every time you came onto the patio. A guide came with the cabin so in the morning we took a two hour hike to a waterfall. And best of all, the mosquitos didn't bite (I don't know why). 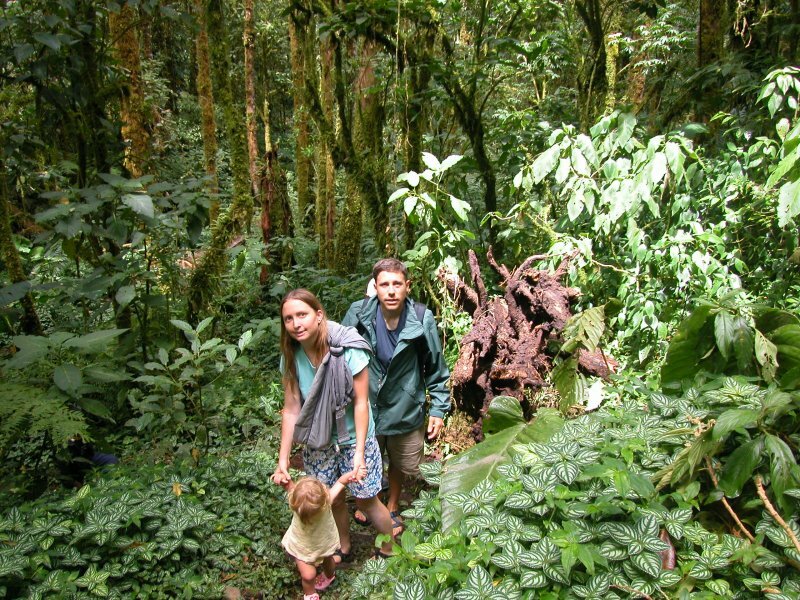 We even spotted a green quetzal, which is a bird and it's good luck to spot one. The guide said there was a tiger in the rain forest but we didn't see it and I'm thinking that's also good luck. 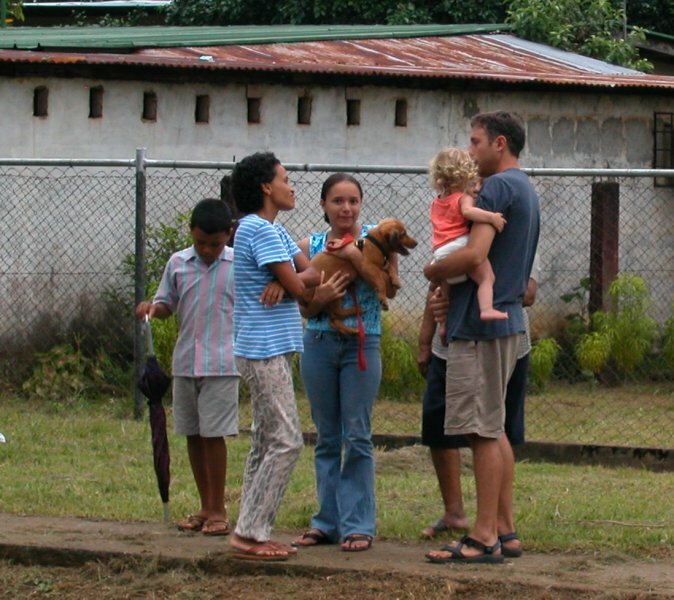 The people in Panama were very welcoming, and Amelie was held by many locals. Nobody spoke any English, not even people you'd expect like car rental or hotel rental folks, so our Spanish got a lot better in the week we were there. 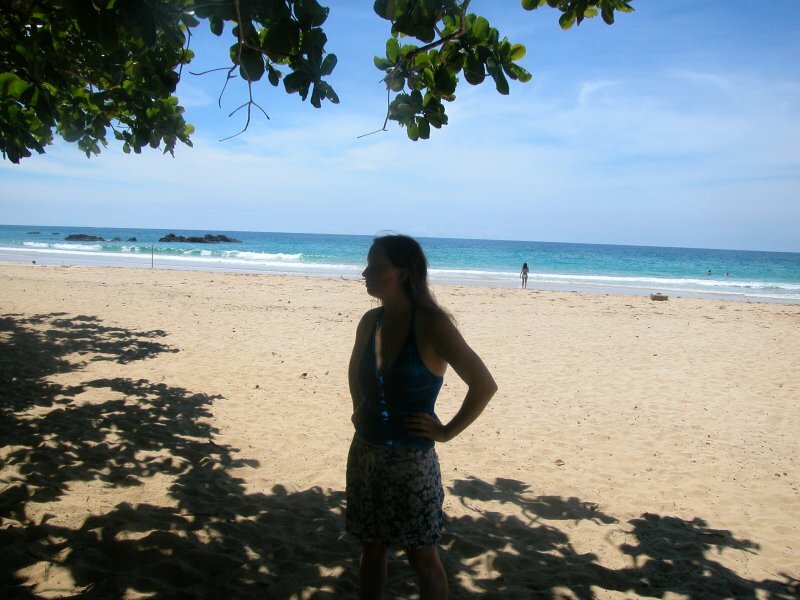 We drove to the Golfito in Costa Rica and flew from there to San Jose for the return. Golfito is a small little fishing town with not much going on except for being a stopping point along the way to other places. Amelie is currently obsessed with climbing stairs, and unfortunately in Boquette there were stairs in our cabin, so it meant a lot of hand-holding as she walked up and down the stairs. With this trip we've now visited every country in Central America, so we'll see where the road takes us next time.